As early as 1886, Lagosian intellectuals were engaged in changing racist and stereotyped ideas of Africa and Africans. They made a conscious effort in showing an intellectual and vibrant city, interconnected to Europe and the Americas. In my thesis Producing Intellectuals (2013) I showed some of these attempts by Lagosians who got involved in anti-slavery and anti-racist movements. Here, in this post, I would like to talk about one of my favourites: the image of Lagos curated for the Colonial and Indian Exhibition. 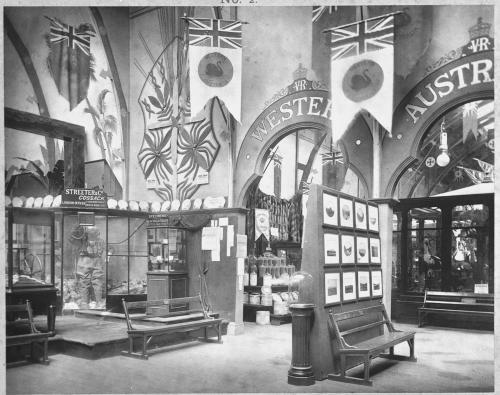 In the summer of 1886, the Colonial and Indian Exhibition was held in London. Around fourteen thousand people attended the opening ceremony, including Queen Victoria. In total five million people attended the exhibition, which through special lighting and other effects created an experience of the “non-Western” world. A review in the African Times commented that “the Exhibition itself [was] too vast for us, in the limits of our paper, to give even the faintest general idea of the splendid articles it contains. […] The careful examination it calls for, would take days to accomplish”. A large collection of objects of various origins was displayed in fifteen sections, each one relating to a different British colony: from an Indian throne of hammered gold in a re-created Indian palace to local food, clothing, sculptures and masks. The event also depended upon the participation of local residents originally from some of the colonies and territories, who offered thorough explanations of the material on display. Lagos’ display was the product of a collective effort in gathering objects to represent the city: each one was on loan from an inhabitant of Lagos. It included seven tables displaying a variety of local artefacts, produce and goods, four display cases and an assortment of furniture: “four knives with ornamental brass handles, used by chiefs”, an “oracle of Ifa” and a “bamboo sofa and chairs”. In selecting the objects that were displayed and offering stories and explanations to the public, the committee responsible for Lagos’ stand acted as a broker between the city and an international audience. And in so doing, they curated an image of Lagos. 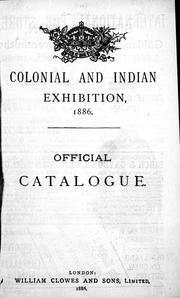 Colonial exhibitions, it has been argued by many scholars such as T. J. Basset and J. C. Stone, were instrumental in reinforcing imperial ideas. However, as I have argued in my thesis, the Lagosian committee was doing more than reproducing colonial representations of Lagos. They were conveying new ideas of Lagos to be displayed in the Colonial Exhibition; an image that opposed Africa’s increasing negative image. When thinking in forming an image of Lagos, these photographs would give us a fantastic insight of what ideas of Lagos they were trying to convey. However, I believe that independently of the image these pictures hold, they also carried important information for the Lagos they were publicising: Lagosians were also taking and revealing pictures. They could not only master the technological complexity but also the art behind it. The same argument can be used with the books showed at the display. They proved beyond doubt that Lagosians were writing and publishing prolifically. The map of Lagos, commissioned by the committee for the Colonial Exhibition, also made it clear to the viewers: “by a native of West Africa”. In displaying objects and furniture, beautifully crafted, they were not only showing the skills of local artisans but also explaining that Lagosians also had sofas and coffee tables in their nicely decorated big houses. In this way, Lagos committee for the Colonial Exhibition in curating an image of Lagos were providing their audience with a substrate upon which to rebuild their ideas of Africa. As early as 1886, Lagosian intellectuals were engaged in changing racist and stereotyped ideas of Africa and Africans. They made a conscious effort in showing an intellectual and vibrant city, interconnected to Europe and the Americas. Thank you, Nara, for this fascinating article about Lagosians’ intellectual activities in the 1880’s. Where might one read your thesis?